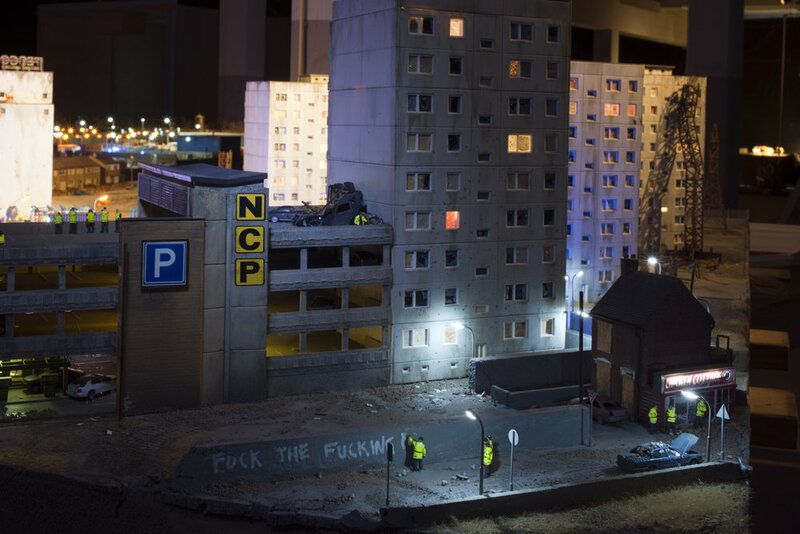 Following the media scrum and high-density crowds of Banksy’s Dismaland, for those unable to attend and for those who were rushed through, L-13 LIW and Illuminate Productions were pleased to present Jimmy Cautyʼs Aftermath Dislocation Principle (The ADP) in London. 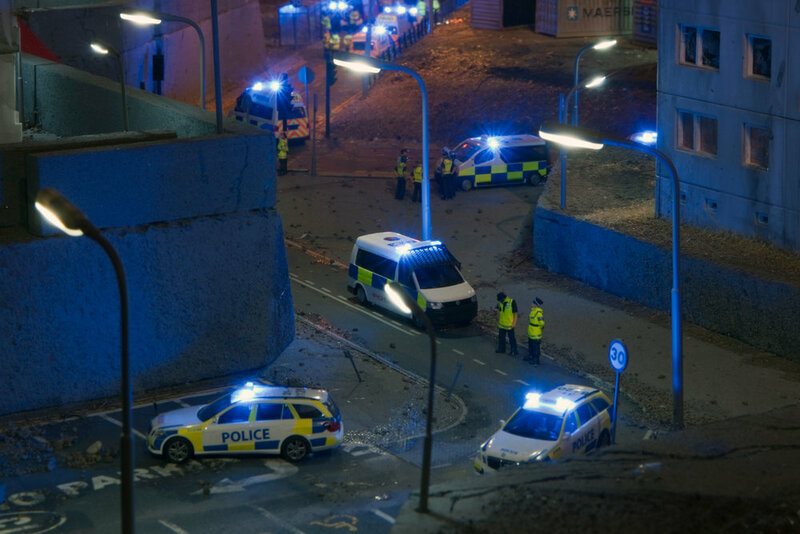 The ADP was a monumental post-riot landscape in miniature - a dystopian model village where only the police and media teams remain in an otherwise deserted, wrecked and dislocated land. 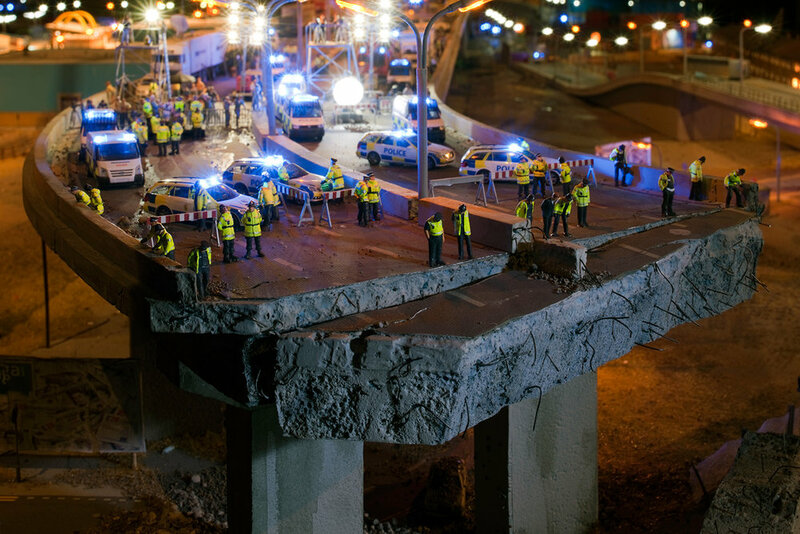 Jimmy Cauty and his small team of helpers painstakingly created this vast and intricate scene over nine months. Entering into the world of hobbyist model-makers and turning it on its head, The ADP presented a flip-side narrative packed with exquisite detail and apocalyptic humour, principally 3000 tiny policemen in a vast post-apocalyptic landscape. 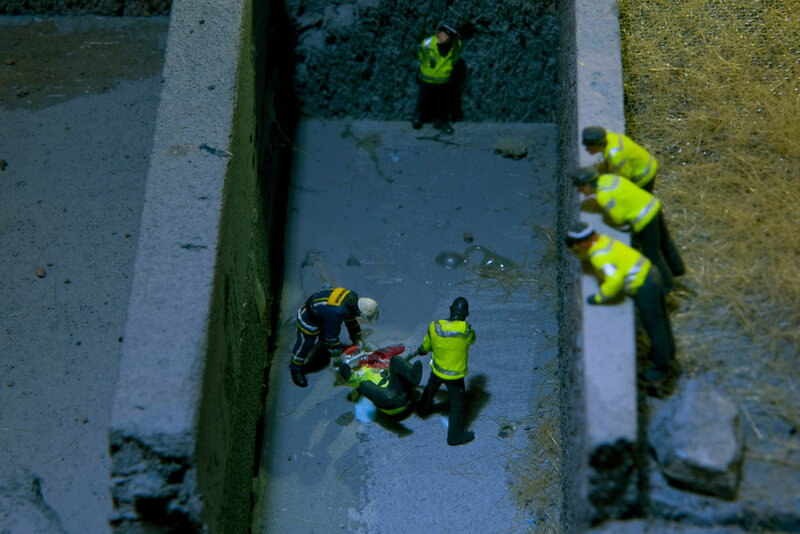 During the exhibition visitors could also witness the construction of a new section being made onsite, as Cauty was artist-in-residence for three months making NEW BEDFORD RISING. Connected to the main section, via a suspension bridge, this was a massive construction site in the shape of the Tower of Babel. A spiral city where an immense (1/87 scale) 323 metre Solid Gold Pyramid was built to usher in a New Edenic Era. New Bedford rose from the wreckage; a paradise where policemen could roam free, living idyllic lives and raising their young in a crime free epoch of law and order, peace, and eternal bliss. Once completed the artworks were housed in three shipping containers of various sizes: to be shipped and shown in almost any situation. The models were viewed through observation ports in the sides of the containers. 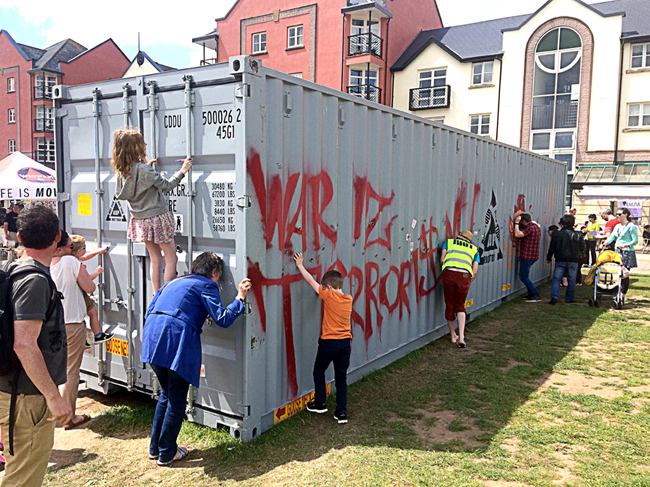 Titled, The Aftermath Dislocation Principle (ADP), a trilogy of artworks by Jimmy Cauty, they went on a nationwide tour stopping of 38 riot sites across the UK from muddy fields and small community centres to major national art galleries. The tour, known as the ADP Riot Tour (#AdpRiotTour), ended on Christmas Day, 2016 in Bedford, at the Panacea Museum, with all three containers sited together in the former Panacea Society’s Garden of Eden. The artworks are currently travelling across European and Russian Territories. L-13 Light Industrial Workshop In partnership with Illuminate Productions. Supported by Greggs and the Panacea Society. 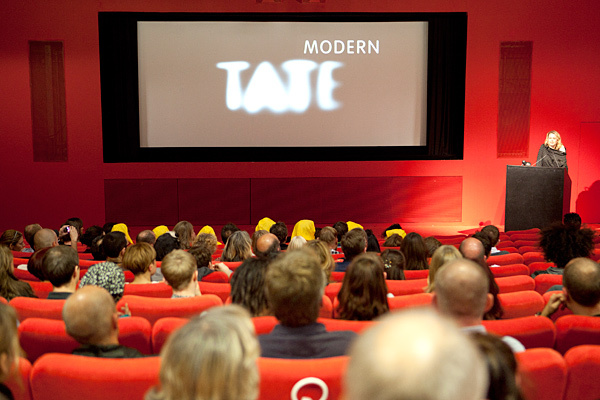 Key coverage total reach Now seen by more than 1 million visitors. Believe the Magic was a short film made and directed by Jimmy Cauty with music by the D.1.Light Industrial Orchestra and help of Illuminate Productions. In this fast-paced road movie, a young man believes he has won a part in a Hollywood film opposite rock legend Debbie Harry. 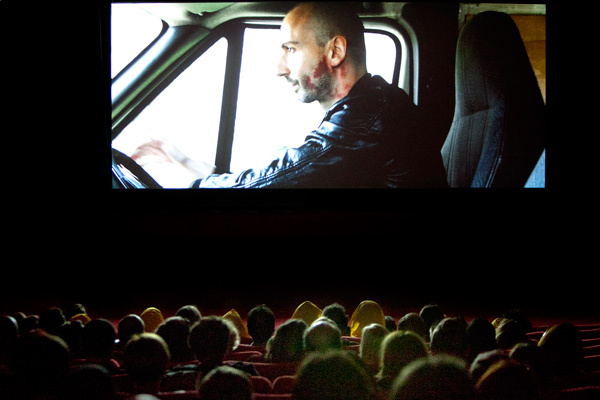 The film follows him for 24 hours from an inner-city squat party through the streets and suburbs of south London as he tries to make it to the airport. In 2012, Cauty created a large scale, site-specific digital print on paper for a hoarding in London Bridge. As before the cultural subversion and level of high humour were elemental to the work and the roguish approach radical, responsive and darkly comical. Over the past 30 years James Cauty has distinguished himself as a musician, artist and cultural provocateur through fusions of high art and popularist mediums - often to spectacular or controversial effect. From a string of number one hits as founder and member of The KLF, to implementation of the The K-Foundation and the seminal action, Watch the K-Foundation Burn a Million Quid (1994), to later artistic experiments with sonic weapons, stamp collecting and model making, cultural subversion and a gleeful level of high humour are elemental to all the work whilst never failing engage its audience in critical pleasure.